Well, Autumn is well and truly here in South Tasmania, much to my delight as its my second-favourite season after Spring. My family have gone up North to spend Easter so I find myself home alone in the peace and quiet – no nagging! No-one to cook for! I can listen to loud music & have as many lights on as I like! 😀 They’re really not that bad. Really. I went for a stroll in the garden this afternoon. Everything’s still there, albeit covered in a fresh flush of new weeds now that the rainy season has started. You know its Autumn when the Cyclamens start showing up. The flowers have gone (these ones were bright white) but I love the leaves, they stick around all Winter and are well worth having around. Next to the Cyclamen is another favourite foliage plant of mine, a Pulmonaria or Lung Wort. They have cute blue & pink flowers in the Spring but the foliage goes on looking good until it dies back for Winter. 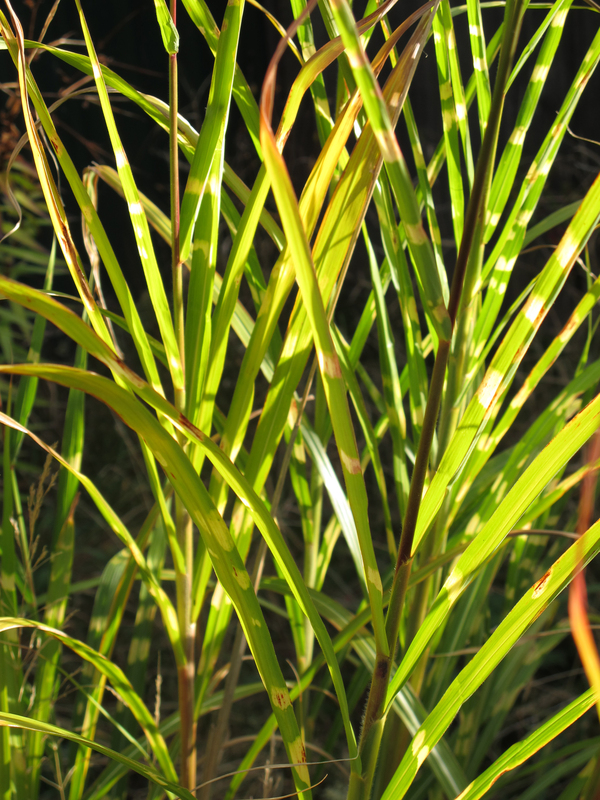 More foliage, this time an ornamental grass – Miscanthus sinenses “Zebrinus” – named after the stripes it developed along the leaves as the plant matures. This is only its 3rd year in the garden & already its starting to fill out nicely. My garden is littered with the remnants of blooms past. I usually prune my roses right after they flower but for some reason this year I did, and I am glad I didn’t because I love how the hips have turned a bright orange as they ripen. I might even pick a few branches of these to brighten up my kitchen table! I got a great loaf of bread today from the people I work for. They are a family of Greeks, and like to keep a few of their traditions alive whenever they get together for the holidays. 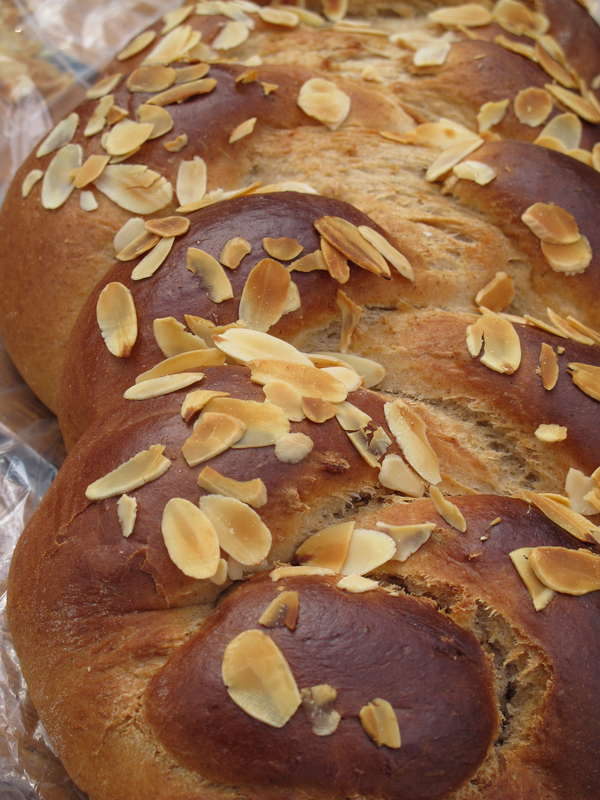 They made Tsoureki today – traditional Greek Easter bread. Every family has their own unique recipe; this one is flavoured with cinnamon & lemon juice & topped with almonds. Its a sweet bread, so I’m going to have it toasted with butter & honey. Yum!! And now I think I’ll relax in my favourite chair with my knitting, enjoying my time alone 🙂 Happy Easter everyone! It was a typical Autumn day today…. after raining all night, the sun rose to a beautiful day. Bright sun but with a slight cool breeze coming from the south east, it warmed up the soil just enough to evaporate the droplets on the leaves, but the soil remained moist. 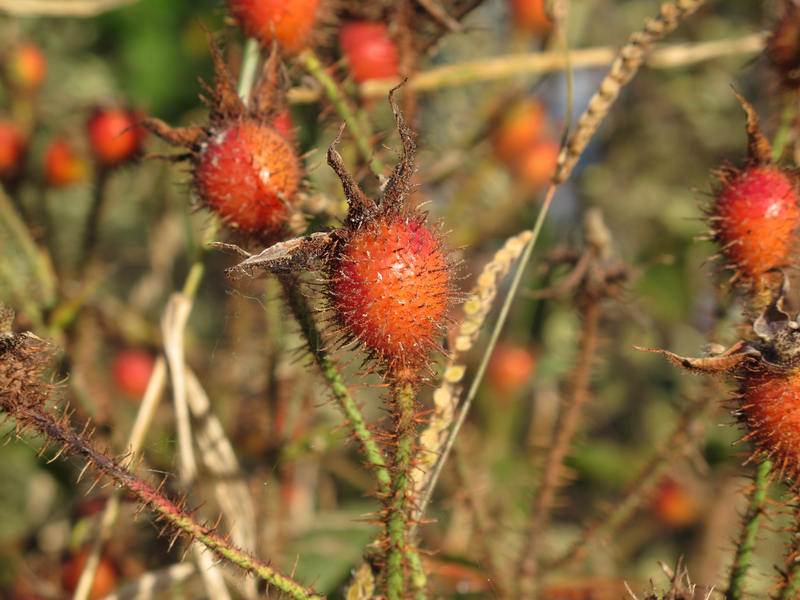 We are enjoying the last sunny days before the plants pack up for another long winter. The top photo is Nerine fothergilli “Major” which is a really nice Autumn bulb to have around. I find them to be very reliable bloomers. The pink Nerines will come a bit later, I can see their flower buds peeking out of the bulbs already. The second photo is a lovely Hydrangea that was one of the only decent things in the garden when we moved in. But it was tiny, and has tripled in size since we started taking care of it! 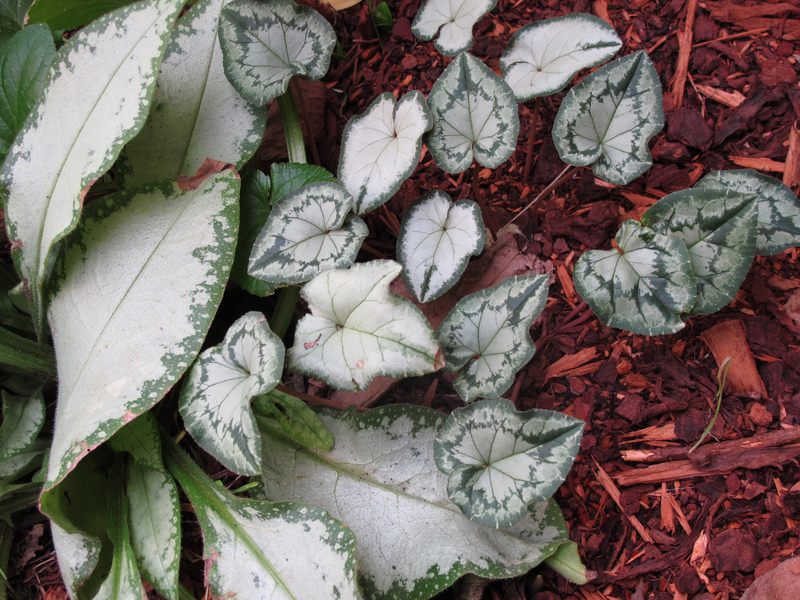 The third photo is a patch of Cyclamen hederifolium in one of the garden beds. I have grown hundreds of Cyclamen from seed over the last few years, and I have given away some as presents or trades, but most have now been planted in my new garden over the summer. A few are flowering too, but not enough to put on a good show, I will have to wait until next year I think! For now I will admire their pretty leaves. The last photo is Puss Cat in her favorite spot in the corner of one of the veggie beds; now that the corn is gone she has it to herself for a while, at least until I plant something else there!